Success Tips For Generation Y Entrepreneurs » Find Your Dream Job! Don’t believe that successful entrepreneurs have a minimum age requirement. Some of the most innovative and lucrative companies have come from the minds of Generation Y. How can you get started? 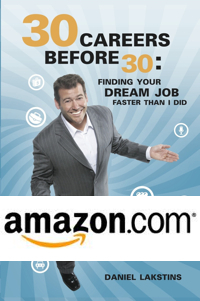 This week’s episode of “Dream Job Radio” featured seasoned Gen Y entrepreneur Brenton Gieser. Brenton has done the corporate thing, the small company thing, fund raised, bootstrapped, failed and succeeded! And he’s willing to share his secrets for success with you via his blog. So what advice does Brenton give Gen-Yers wanting to get their own business started? 1) stop listening and just act – Once you know your idea is good push the negativity to the side and move forward with your idea. 2) start small – Not necessarily small in company size but in locale. Start local in your hometown and grow your business from there. 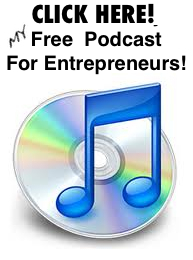 Starting nationwide or worldwide can unnecessarily strap your resources and creativity. 3) involve others – Network with your peers and other successful entrepreneurs. Find the right team that will lead your company to success and don’t be afraid to delegate! I prefer to read a blog, plain and simple. Unless it’s a podcast or internet radio show that is interviewing a favorite blogger. I might make the exception for that, but nothing replaces the written word. THAT is what blogging is all about. So what advice does Brenton give Gen-Yers wanting to get their own business started?